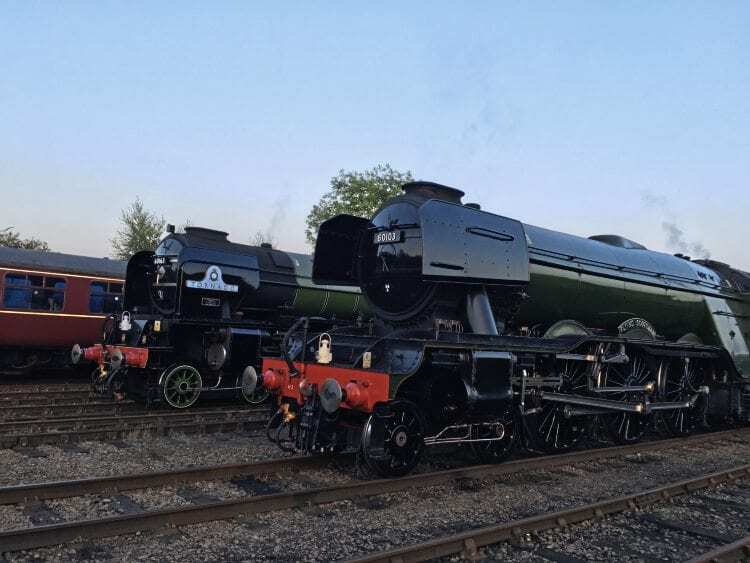 WORLD famous steam locomotives Flying Scotsman and Tornado (pictured) have arrived at Barrow Hill Roundhouse ahead of this weekend’s celebrations to mark the reopening of the iconic visitor attraction following its £1.2million refurbishment. Sir Peter Luff, chairman to the board of the National Heritage Memorial Fund and Heritage Lottery Fund, will visit Barrow Hill Roundhouse on Thursday (September 21) to officially open the new entrance building at the unique Midland Railway roundhouse. The celebrations will continue with a grand reopening gala from Friday-Sunday (September 22-24). 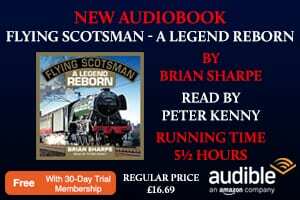 This will be the first visit to the roundhouse by Flying Scotsman since a British Railways open day in 1974. It will also be the first opportunity for many to see it alongside fellow East Coast racehorse – the 100mph Tornado – against this unique and authentic backdrop. The roundhouse also welcomes a late addition to the line up with the arrival of LMS Jinty Fowler ‘3F’ No. 47406, last seen in the building at the LMS Gala ‘Barrow Hill 1965’ in September 2015. Commercial customers based at Barrow Hill Roundhouse are also supporting the celebrations, with Direct Rail Services, Colas and GBRf locomotives on display. Throughout the gala both Flying Scotsman and Tornado will haul passenger trains from the platform at Barrow Hill Halt up the Springwell branch line, supported by the Jinty. There will be brakevan rides in the yard with the assistance of the roundhouse’s Class 03 shunter. Visitors will also be able to enjoy the new exhibitions and interactive displays, featuring many items in the roundhouse museum collection that have never been seen in public before. A new shop will open its doors for the first time, selling unique Barrow Hill mementos, and there will be many more attractions. 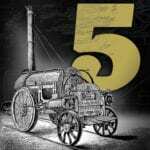 There is plenty of free parking at the roundhouse and the nearby Staveley Works, and a mini bus shuttle service will also run between the car parks. Visitors should follow parking signs from the A619. For those coming by rail, there will be a free bus service from Chesterfield railway station4. Flying Scotsman will also be one of the stars of Down the Line, a play written by Kevin Fegan and directed by Carole Copeland. The play has been specially commissioned for the relaunch celebrations and is supported by The Arts Council. The show will involve a cast of professional actors and local people, including a community choir and Ireland Colliery Chesterfield Brass Band. The audience will be an integral part of the play as they follow the drama in and around the roundhouse building. 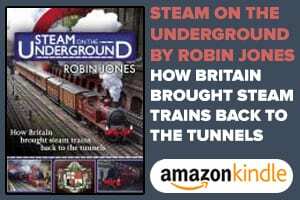 The play tells the story of Barrow Hill from the coming of the railways to the present day. The audience guide will be a fictional site foreman ‘Shunter’, whose family have lived in the area for generations. Act 1 of the play will be taking place outside so visitors should dress accordingly for a September evening. A bar will be open before and during the performances. There will be three performances – Thursday, Friday and Saturday. Doors open at 6.30pm, performances begin at 7.30pm and finish at 9.30pm. 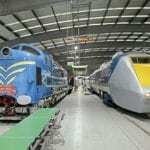 Mervyn Allcock, general manager of Barrow Hill Roundhouse, said: “Everyone here at the roundhouse has been working very hard over the past few months to make this a weekend to remember not just for Barrow Hill but for Chesterfield and north-east Derbyshire. Advance tickets are on sale through www.seetickets.com. There is also a ‘pay on the gate’ option for each day of the grand reopening gala and performances of “Down the Line”.